Visible scarring on the breasts is often one of the biggest reasons why patients avoid seeking out breast reduction surgery. Many ask us if there is a way to pursue breast reduction without dealing with scarring. There has been some talk about liposuction breast reduction, which we will discuss today. 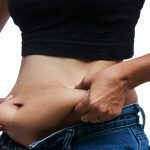 What Is Liposuction Breast Reduction? The old saying goes “good things come to those who wait”, isn’t always true. Especially when it comes to uncomfortably large breasts. 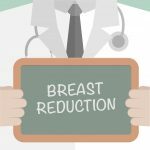 While weight loss can help shift some of the weight from your breasts, if you suffer from macromastia then weight loss alone can’t reduce the weight or density of your natural breast tissue. Trending Slim in 2018 – Get Onboard with Bariatric Surgery!